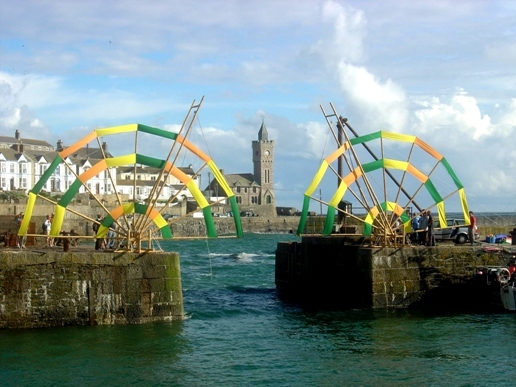 In 2007 Basketry and Beyond’s Bamboozle – Bridge the Gap festival took place in Porthleven, Cornwall. 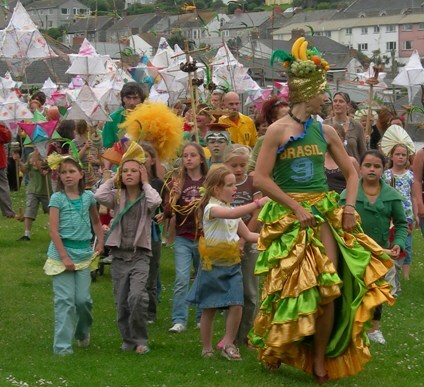 The festival was designed around highlighting skills associated with split wood basketry and the use of bamboo both locally and internationally. 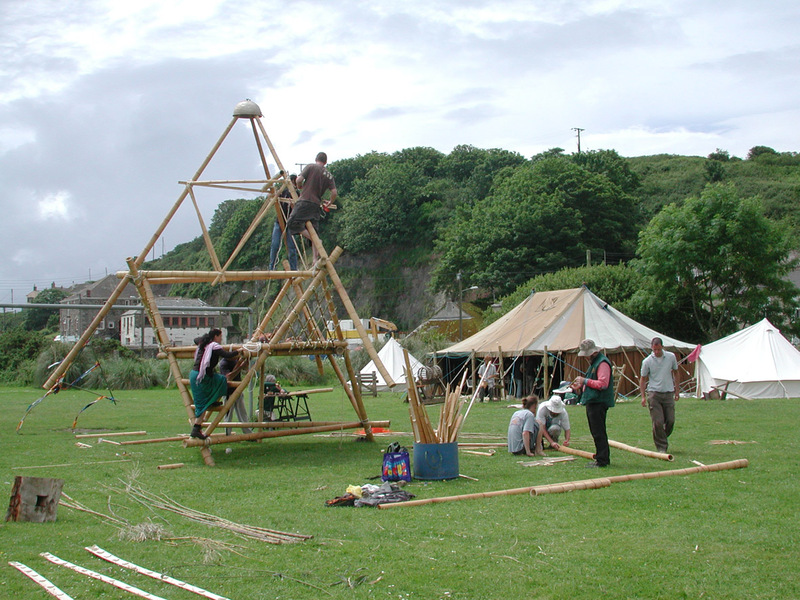 Geraldine Jones and Hilary Burns project managed a ten day event in June that brought together artists, architects and master craftsmen to provide displays of refreshingly innovative structures, constructions and demonstrations of basketry using bamboo and other materials able to be split and woven. 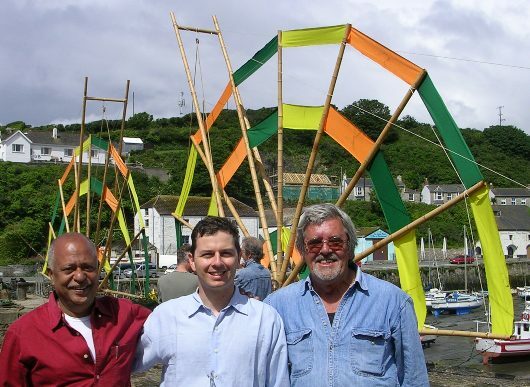 New Delhi architect Pradeep Sachdeva from Windmill Designs and Johnny Allen from Auroville, Tamil Nadu, joined forces with Colombian structural engineer David Trujillo and local participants to create a kinetic ‘bridge’ using 18’ large diameter bamboos to span the harbour entrance. This project was supported by a grant from CFF Community Futures and was included in the national Architecture Week programme. 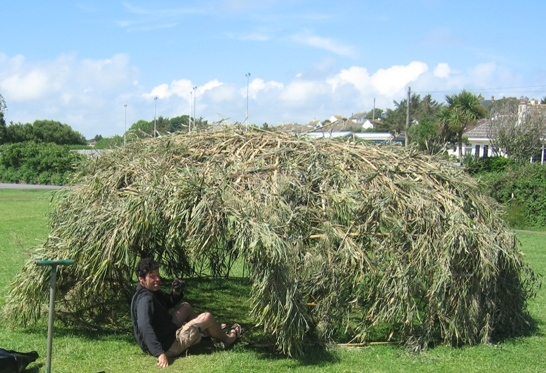 The event also showcased an installation by British artist, Lee Dalby, using equally tall but lesser diameter, locally grown bamboos to make a bamboo igloo. At the other end of the scale, master craftsman Mitsuki Fujiwara travelled from Japan to demonstrate the use of finely split and woven bamboo. 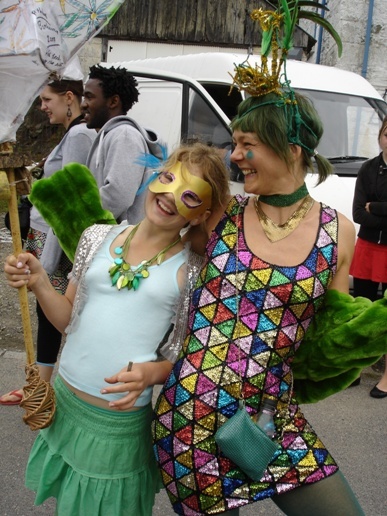 A week of courses run by tutors from the UK, Europe and Japan supported the festival. Further uses of split indigenous woods were profiled by other practitioners in demonstrations during the festival, at courses before and after the weekend. 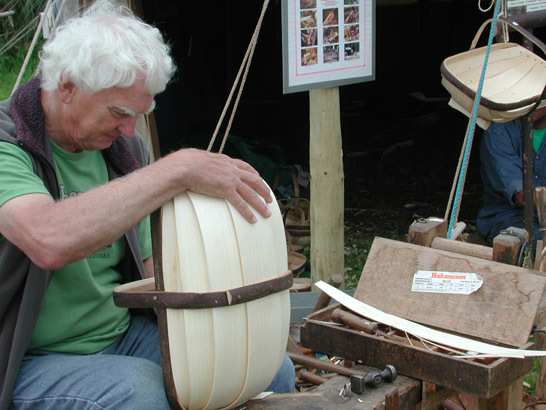 Jamin Uticone pounds an American ash log into splints to make his beautiful Shaker tradition baskets. 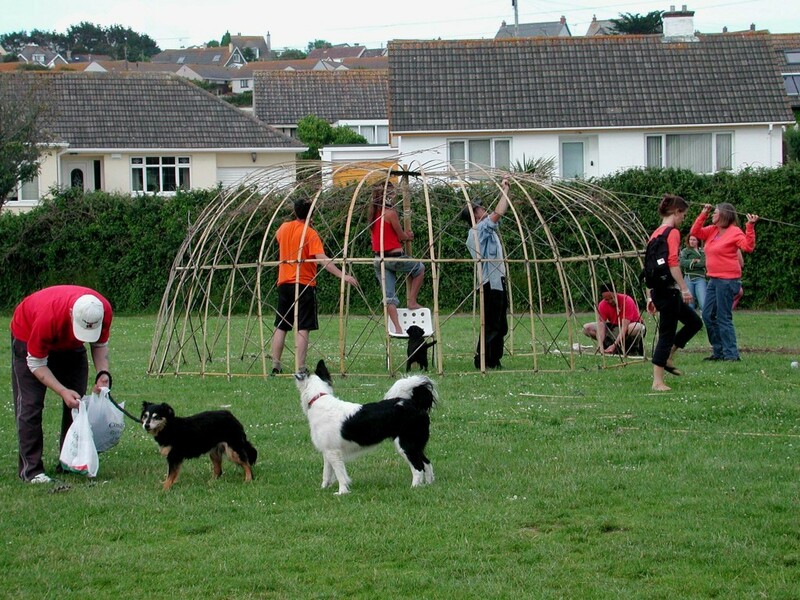 ‘Basketry Traditions Today’ at Godolphin House, nr Helston. 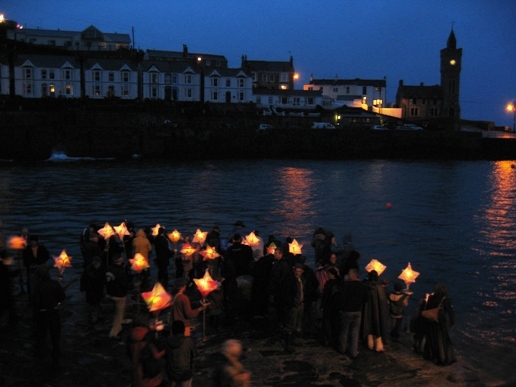 In the afternoon members of the Worshipful Company of Basketmakers in their livery, children carrying star lanterns and playing bamboo instruments and local residents created a procession round the harbour. At dusk and despite the rain, the lanterns were floated out to sea, accompanied on the shakuhachi (bamboo flute) by Mike McInerney, to culminate the festival weekend.